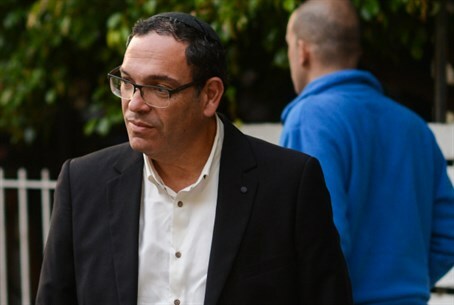 MK Shai Piron says his party believes "it's time to replace Netanyahu" and would prefer to recommend Herzog as Prime Minister. MK Shai Piron (Yesh Atid) said on Sunday that his party would prefer that Yitzhak Herzog head the next government over Prime Minister Binyamin Netanyahu. The statement comes several days after Yesh Atid chairman Yair Lapid ignored a plea from MK Tzipi Livni to publicly pledge that he will not recommend Netanyahu to form the coalition but would recommend Herzog. “We are now at the end of three terms of Binyamin Netanyahu as prime minister, I think it’s time to test a new way and a new leadership in Israel,” he continued. "I repeat, we do not reject anyone, on the one hand, but on the other hand, we believe that it is time to replace Netanyahu," he added. Yesh Atid’s campaign so far has focused on attacking the right and specifically Netanyahu as “a weak and failed prime minister”. Lapid has made alleged “corruption” in other parties a central issue in his campaign. He recently gave a speech in which he slammed this “corruption” and pointed out Netanyahu. “Corruption is ordering pistachio-flavored ice cream to your house at the expense of the public, Mr. Prime Minister, and transferring your garden furniture to your villa in Caesarea, and asking the public to pay for the water in your private pool, and fighting for the public to buy you a private plane,” was one of Lapid’s examples, referring to several expenditure reports published about the Prime Minister’s residence in recent years. “Yesh Atid was the only party that voted against the private plane. The only one! You should have seen how the Prime Minister jumped when he found out that we are opposed to him having his own private jet,” said Lapid. "Mr. Prime Minister, in a country where there are the greatest social disparities in the West, where the middle class cannot make ends meet, a private jet is corruption," he continued.